Most of us grew up with the concept of buying light bulbs based on their wattage. Incandescent light bulbs, florescent light bulbs and other varieties of light bulbs are still labeled and sold based on their wattage. Now we must be re-educted and buy light bulbs based on lumens. The light bulbs that we are familiar with for our homes are 15, 25, 40, 60, 100 and 150 watt. Why the light bulb manufacturers originally decided to sell light bulbs based on wattage is something I will probably never understand. The amount of watts used by a light bulb is the energy that the light bulb consumes to give off light. But light, is not measured in watts. Light is measured in "Lumens" and there is no correlation or mathematical formula that will allow watts to be converted to lumens or lumens converted to watts. New light bulb manufacturing materials and techniques have created energy efficient replacements for the incandescent bulb and many countries will be banning the sale of incandescent bulbs from 2010 onwards. Watts no longer represents an amount of light, even if our brains are geared to look at the light coming off a light bulb and being able to say; "that’s a 60 watt or a 100 watt light bulb". A typical incandescent 60 watt light bulb emits 850 lumens. 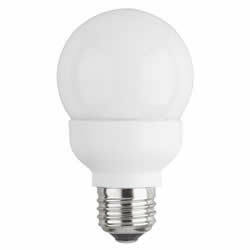 A typical CFL (compact florescent lamp) 13 watt light bulb emits 800 lumens. A typical LED (light emitting diode) 12 watt light bulb emits 810 lumens. As you can see the 3 light bulbs indicated above all emit approximately 800 lumens of light, yet the power consumption to produce that light is very different depending on what technology is used to create the light bulb. Today, in order to purchase light bulbs you must determine the amount of lumens that you require, not the amount of watts of the bulb.